The SDF Thermal Cut-Offs (Organic Thermal Element Type) are used to prevent fires caused by abnormal heat generation from circuits and other heat producing electrical products. 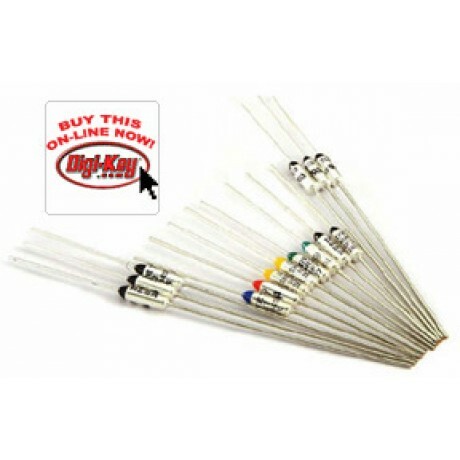 They are a non-resettable thermal fuse which open electrical contacts when temperatures exceed the specified level. Electric home appliances and heating devices, Coil-winding products and power supplies, Office equipment and telecommunication devices, Automobiles & other electronic components. Our Thermal Cut-Offs (Organic Thermal Element Type) are used to prevent fires caused by abnormal heat generation from circuits and other heat producing electrical products. They are a non-resettable thermal fuse which open electrical contacts when temperatures exceed the specified level. When the ambient temperature rises to the functioning temperature, the thermal element melts and the springs move the contact away and open the circuit permanently. • Bends in leads should be at least 3mm from the body of the TCO. • Extreme caution must be used while soldering, use a heatsink and avoid heating above Tf -24°C. • The metal portion of the TCO is electrically live and may require insulation. • Do not use in liquids or poisonous gasses such as sulfuric acid or nitrous oxide. • Do not connect heater directly to the cutoff. Refer to the diagram on the right when determining the correct temperature setting. • Tp : The highest temperature of the product to which a cutoff is to be attached. • Th : The safe temperature range for use of the cutoff. • The increasing temperature by remaining heat in the cutoff after melting is required to remain below Tm. • The temperature of the area where a cutoff will be attached should not reach overTh under normal usage conditions.